Hundreds of people descended onto Tbilisi’s streets this weekend to protest heavily armed police raids on two nightclubs in Georgian capital. 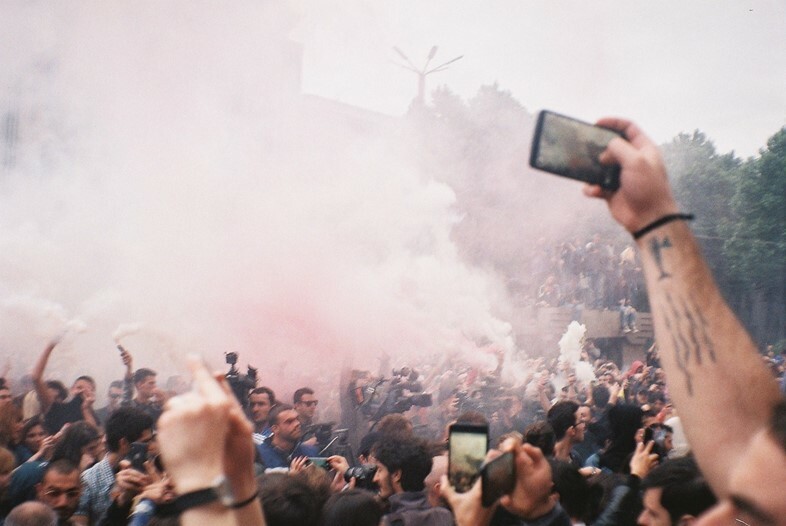 A rave took place in front of Parliament, and protesters demanded the resignation of the prime minister Giorgi Kvirikashvili and the minister of internal affairs. Despite being something of an outpost on the clubbing landscape, Tbilisi has garnered recognition in the global house and techno scenes, mostly thanks to the city’s two dance music focal points – Bassiani and Cafe Gallery. Both clubs were raided by heavily armed police on Friday night, with the authorities’ officially stated reason being because of recent drug-related deaths (five have happened in the past three weeks, although none on the clubs’ premises), along with accusations of drug trafficking, which Bassiani denied in a statement. They described the raid as a consequence of an “endless smear campaign” by right-wing forces to discredit the club. Drug laws in Georgia are draconian, with people regularly stopped and tested on the streets, and prison sentences long – even if people only possess microscopic amounts. Bassiani, an industrial club under a football stadium, was opened in October 2015 by Tato Getia, Zviad Gelbakhiani and Naja Orashvili, a movement as well as a nightclub that “speaks loudly regarding the inequality in the country, high level of injustice and discrimination.” The free and private queer Horoom parties at Bassiani are an example of its bold, political programming. Both co-founders Getia and Gelbakhani were arrested and detained during the raid along with Beka Tsikarishvili, a prominent member of White Noise Movement, a group that protests Georgia’s strict drug policy. We spoke to Bassiani manager Makuna Berkatsashvili. “They came inside the club with machine guns, pointed guns at DJs to stop them playing, searched every staff member and threw us out,” she says. Co-founder Orashvili says that Tbilisi was killed on Friday night. “Peaceful demonstrators were beaten up by the police – we need to fight for our dignity and freedom. 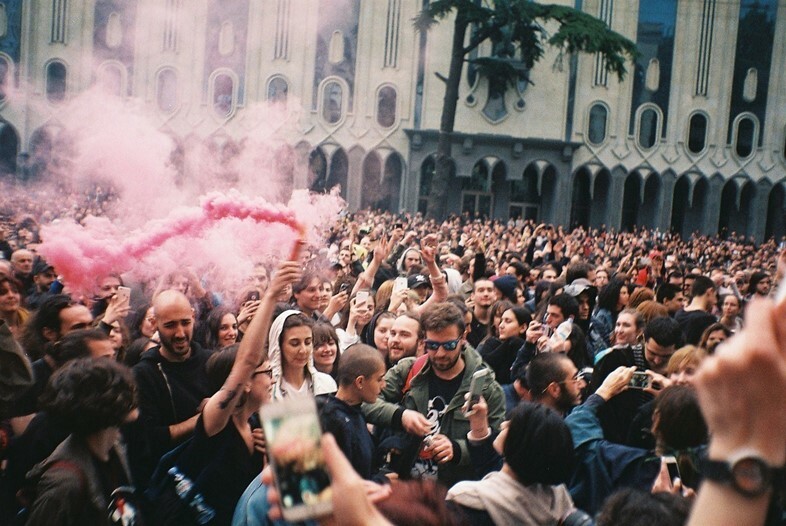 They declared war against all the values and ideas that unite thousands in our music scene.” Giorgi Kikonishvili, promoter of Horoom, one of the first gay nights in Tbilisi, says that the raid is an “ideological war”. Paata Sabelashvili, part of White Noise Movement, says that the timing of this raid came exactly in a period that the Parliament is deciding about drug policy reforms. “This raid is an attempt to delay any functional change on drug policy in Georgia,” he says. 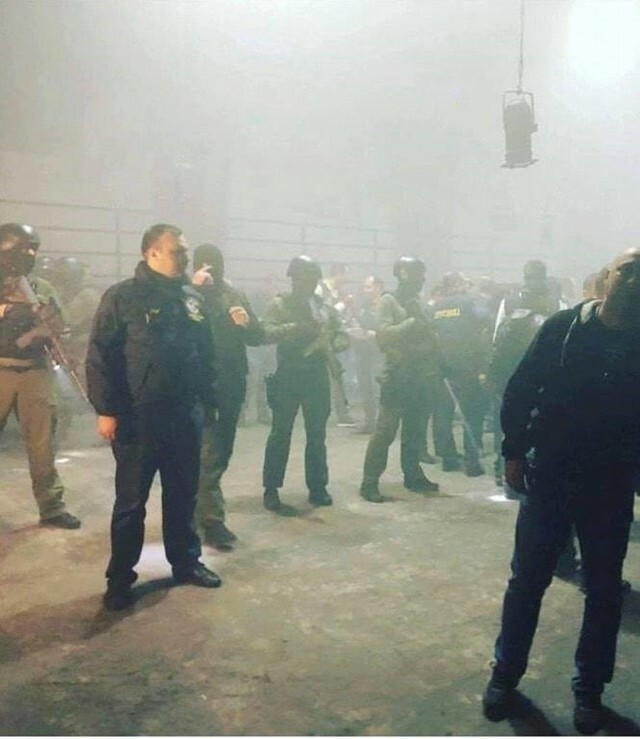 The global dance music scene sent out a loud message on Saturday – Black Madonna, Roi Perez, Boiler Room, Amsterdam club De School and Belgrade club Drug Store all released statements supporting the Georgian music scene. Many people all over the world shared Bassiani’s slogan “We dance together, we fight together”. Several protesters claim that the LTE internet was shut down yesterday in response of the massive attention on social media, but it didn’t stop protesters heading to Parliament with sound systems. Several protesters say they are expecting a backlash from pro-Russian and fascist groups. However, it seems like Georgian youngsters will continue fighting their fight, demand their rights and keep on creating safe and inclusive (queer) spaces by dancing till the early morning. They will dance together, they will fight together.